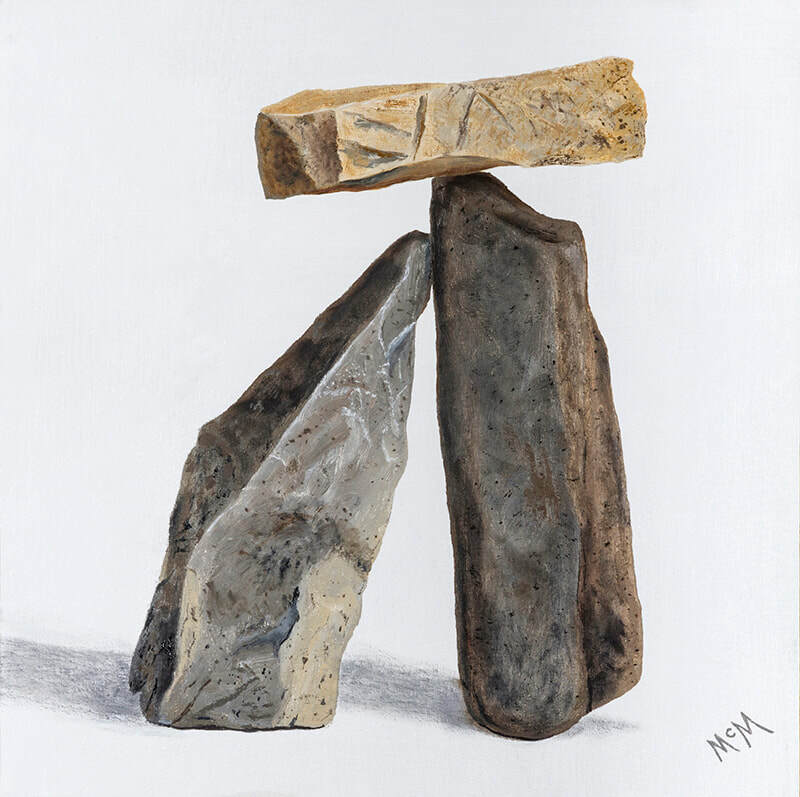 Supporting Our Dream is a painting of a simple cairn, but I see much more. I envision it as a couple, precariously leaning on each other to support their dream, whether it be a family, children, an adventure, or something special only to them. 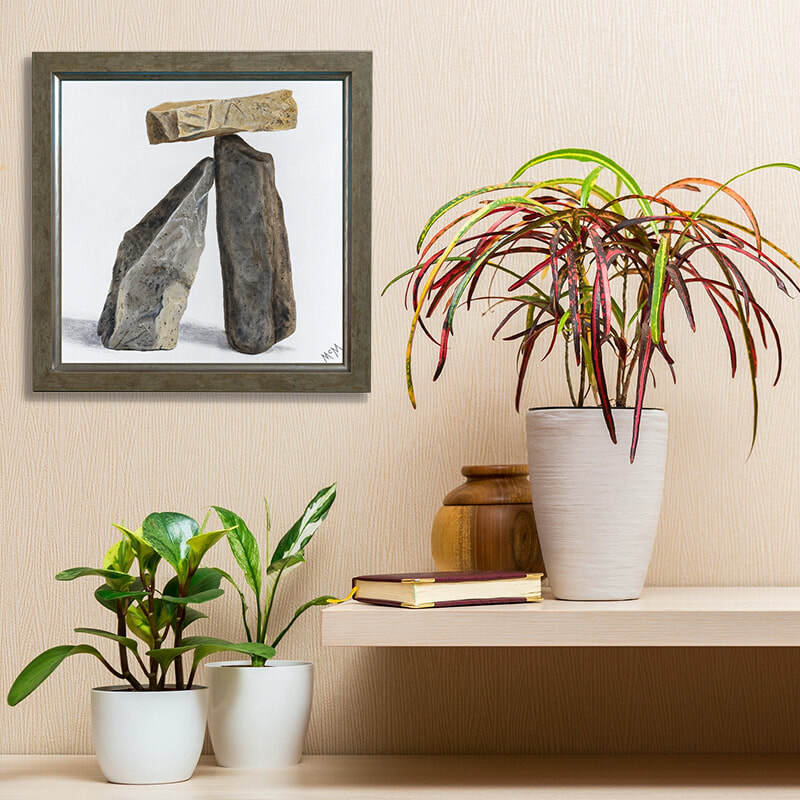 ​Sold framed or unframed. The frame shown is available at an additional cost.